Nail/U Tip Hair Extensions are hair extensions that are pre-tipped with keratin and are applied to the client by use of a hot hair extension iron. This type of hair extension is also called “Fusion.” This method of fixing hair extensions would not damage your hair due to the fact that the heat from the hair extension iron is not as hot as a standard curling and a flat iron. 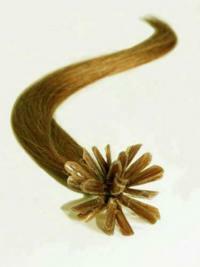 Moreover the hair extension iron only touches the hair for a few seconds. 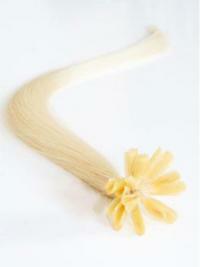 urhair.co.uk offers many these extensions in different styles and colours.